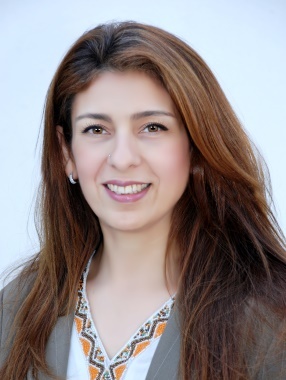 Prof. El-Kholy has managed many foreign-funded research projects as well as local programs in the field of water quality monitoring, modeling and assessment, Geographic Information Systems (GIS), Remote Sensing (RS), waste treatment, and gender mainstreaming. She has a wide experience developing specialized post graduate and training programs, especially in Projects Design and Management (PDM). She also serves as a short-term international consultant for the Food and Agriculture organization (FAO) of the United Nations and highly involved with international organizations such as the Canadian International Development Agency, the World Bank, the United Nations Development Programme (UNDP), the Italian Development Cooperation, the United Nations Educational, Scientific and Cultural Organisation (UNESCO), the US Agency for International Development (USAID), the Deutsche Gesellschaft für Internationale Zusammenarbeit (GIZ) and others. Prof. El-Kholy has published several scientific and technical papers in national/international scientific journals and periodicals in addition to some chapters in international books and numerous technical reports. She is an active member in many international associations annealing scientific research to serve humanity’s well-being and protect the environment.